A Way to Pay for Anything! May 27, 2019 –Closed for the Memorial Day holiday. Jun 3, 2019 – Jun 29, 2019 –Mark Your Calendar For YOUTH MONTH at Metco! Jun 16, 2019 –Treat Dad to a Cedar Rapids Kernels Game! 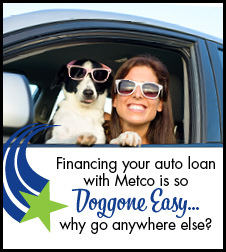 Metco Credit Union is a not-for-profit financial cooperative, owned and operated by the member-owners who use our financial services. Learn more about the uniqueness of credit unions. 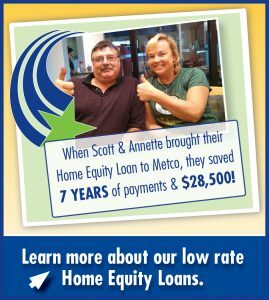 At Metco, we’re proud of the fact that 80% of our new members come to us through referrals from other members. That tells us we’re doing a combination of things really well: keeping our members happy (not just satisfied); offering financial services that our members want and need, and; pricing our services very competitively! Apply for Metco membership online, or contact us for more details—we would love to talk with you!